The Magic of Musicals is a slick, stylish, choreographed show. This live production celebrates the best loved songs from some of the most popular West End and Broadway musicals such as Les Miserables, Phantom of the Opera, Cats, Evita, Chess, Chicago, Grease, Hairspray, Sunset Boulevard, Miss Saigon, Wicked, Mamma Mia, We will Rock you and Footloose. The list goes on and on...and changes regularly! The Magic of Musicals is a slick, stylish, choreographed show. This live production celebrates the best loved songs from some of the most popular West End and Broadway musicals such as Les Miserables, Phantom of the Opera, Cats, Evita, Chess, Chicago, Grease, Hairspray, Sunset Boulevard, Miss Saigon, Wicked, Mamma Mia, We will Rock you and Footloose. The list goes on and on…and changes regularly! Two x female + one male artist. The length of the show can be tailor-made to suit your requirements, but the most often booked is two x 45 minute sets covering 25 different shows! 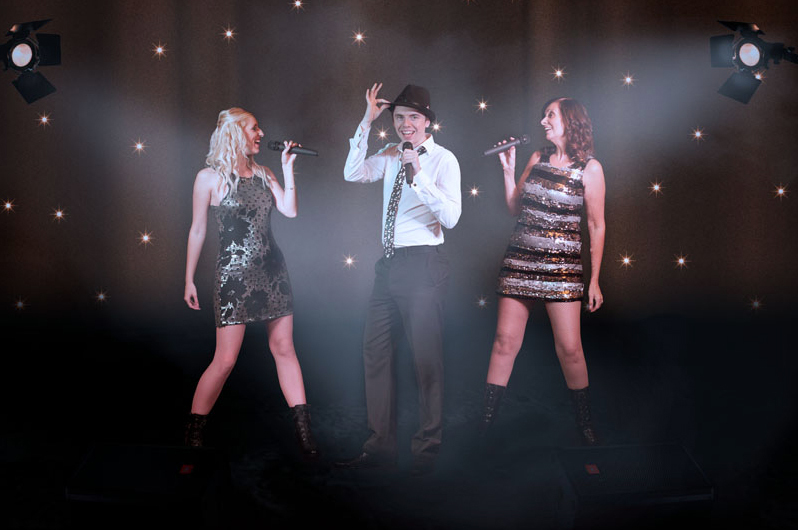 The Magic of Musicals will suit any venue from restaurants to theatres and can be extended to a larger cast including guest vocalists and a live band (they normally perform to high quality backing tracks). Why travel to London to see just one show when The Magic of Musicals brings a whole host of songs from your favourite shows right to your doorstep? “We saw your show on November 19th 2011 at Gunters Hall. The three of you are simply awesome, by far one of the best shows we have seen, so slick and professional, great costumes. Brilliant.